Little Bo Peep is back, sans sheep alas but bringing Woody and Buzz Lightyear with her! Well, strictly-speaking she meets up with them after quite some time apart, and she is not, as the director of Toy Story 4 Josh Cooley makes clear, the same plaything she once was. Annie Potts, who returns as the voice of Bo Peep backs up this assessment, regaling us with all the qualities that her character has in life-affirming abundance. Don’t we all, Annie, don’t we all. The key thing is how will Woody and Buzz and the gang greet her return? I’m assuming well although the trailer provides only the briefest though undeniably joyous of insights. 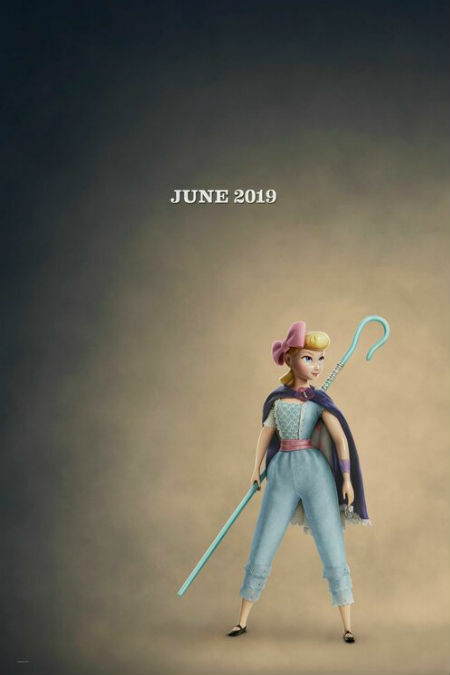 For the full picture we will need to wait for a full trailer (which be coming sooner than we think; like in a few days time) and the release of Toy Story 4 on 20 June in Australia and 21 June in US and UK.